To Succeed. Our success is based on your success. To be successful in our industry, we maintain broad based expertise in the latest technologies, mastery of design and IA, understanding of developing technologies, and the ability to define where our clients are on their journey and knowledge of the tools required for their evolution. We push our clients ahead of their competition, and impart them with the ability to position their skills competitively. 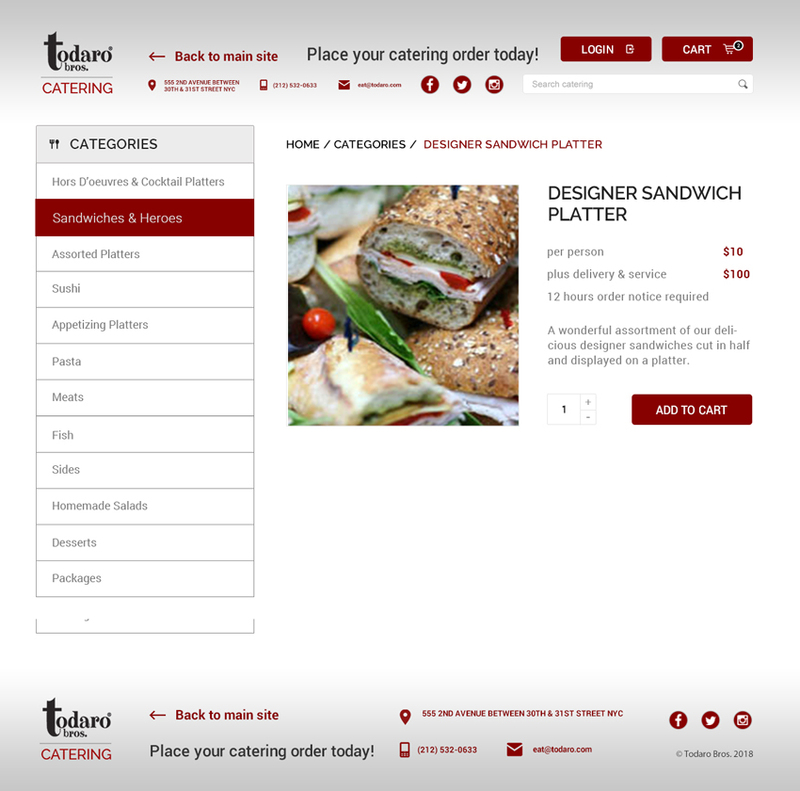 Todaro Catering goes Ecommerce. We unveil a new component for Todaro Bros. that allows their growing catering arm, which has for years been handled by phone, a new way to capture and process orders. The new function features a one-page checkout, and a user-friendly interface. © 2019, Solar Jet Productions. All Rights Reserved.